A Walk Among The Tombstones – People are afraid of all the wrong things. 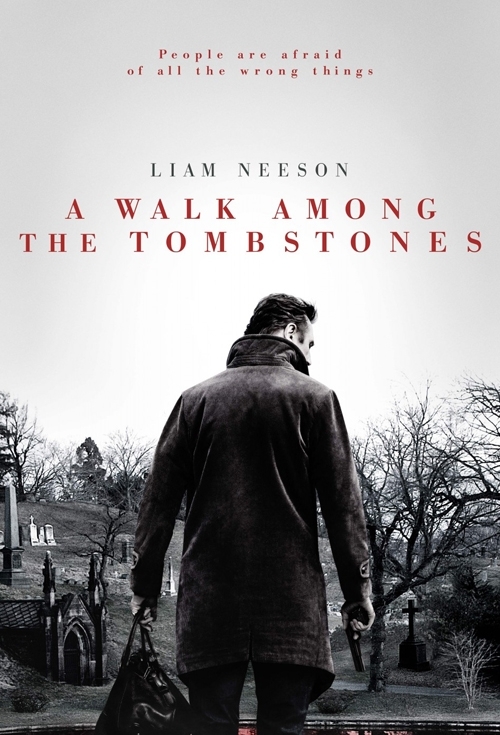 Based on the Novel “A Walk Among The Tombstones” by Lawrence Block. Matt Scudder (Neeson) is haunted by demons from his past. He used to be a police officer and after an unfortunate accident he walked away from the police force. He has become an unlicensed private detective and does favours for people who then give him gifts. He is approached by a person he met at an Alcoholics Anonymous meeting. The mans brother wants to meet with Scudder as soon as possible. The meeting is simple enough the man’s wife was kidnapped and when he paid the ransom they killed his wife anyway. He wants Scudder to find the men who did it and bring them to him. Scudder insists that this is a Federal case and he should call the FBI. Finally, he agrees to investigate the murder of the man’s wife. Scudder befriends a young man named T.J. and tries to steer the young man in the right direction. His investigation turns in many different directions and he is lead around the city where he crosses the paths of a few wrong people. As he closes in on the killers who have taken someone else hostage he is being hunted from both sides of the law. There are a few very disturbing scenes in this movie that might be too much for an average viewer. I am always amazed how far they are going in movies today. Liam Neeson is outstanding as Scudder and it seems he has found his stride as a one man wrecking crew late in his career. I liked the flow of this movie and thought the performances were good all around. Directors’ Previous Movies: The Lookout. If you liked this try: Taken, Gone Baby Gone, Jagged Edge.